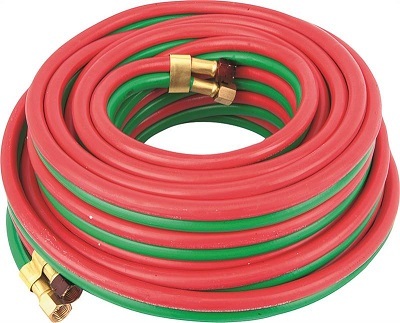 Forney 86145 Oxy-Acetylene Hose 1/4in. x 25ft. Home > Welding Equipment > Forney 86145 Oxy-Acetylene Hose 1/4in. x 25ft. 1/4" (6.35mm) x 25' (7.62m).